Today is all about happiness! The sun was out for a couple of moments, which meant I managed to shoot a few pictures for you. I've been dying to share a look with this metallic pleated skirt. Pleated skirts are by nature very feminine and romantic, but with a little bit of creativity they can also be sporty or edgy. 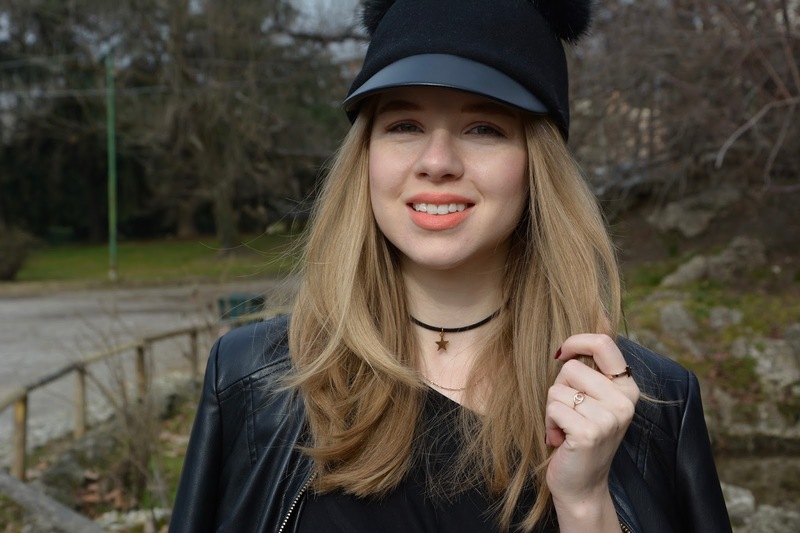 To give it an edgy vibe I styled it with fishnet tights, a choker and leather jacket. To make it look more casual, I added a pom pom hat and a loose fitted shirt. Put all the elements together and it transforms the elegant pleated skirt into something more relaxed with an avant-garde element. Back to happiness! Let's talk about my gorgeous rings from Happiness Boutique. The boutique carries beautiful designs and qualitative products at affordable prices, not to mention they come in the cutest packaging. This is a german brand born from the wish to spread happiness and inspire people. I mean...who doesn't love a brand with a lovely philosophy?! The two rings I'm rocking are rose gold plated titanium and as you can see they have a minimalist and chic look. I've been obsessed with the evil eye ring (clickable links at the end). Sadly the wrap one is a bit too big for me, but I still wanted to show it to you. Another fun thing is their reward program and bi-monthly giveaways, which you should definitely check out when purchasing. The lovely girls at Happiness Boutique also offered me a 10% discount code for you, my beautiful readers, it's carinavardie, so make sure to use it when purchasing. While the items were sent to me, this isn't a paid post! These are my genuine opinions, I do not gain anything from the links! Wonderful! I love every picture! You are so cute! Love the tones! I love your skirt, Carina! You look so chic! I love your gold skirt!! And your rings are so beautiful! I really want to get a similar skirt ^^ looks so trendy! That metallic skirt is so beautiful, wow! I love how you styled it with some edge! I love your jacket.So cool. I'm not really into this kind of skirts but yours is very original! Love the happiness boutique rings and your cup!! Totally in love with that outfit. I love this outfit and your accessories are on point! I liked the skirt and the tights, and the sneakers too! The pompom hat is really lovely and the outfit got so sweet with that! You look very beautiful, as always, of course! 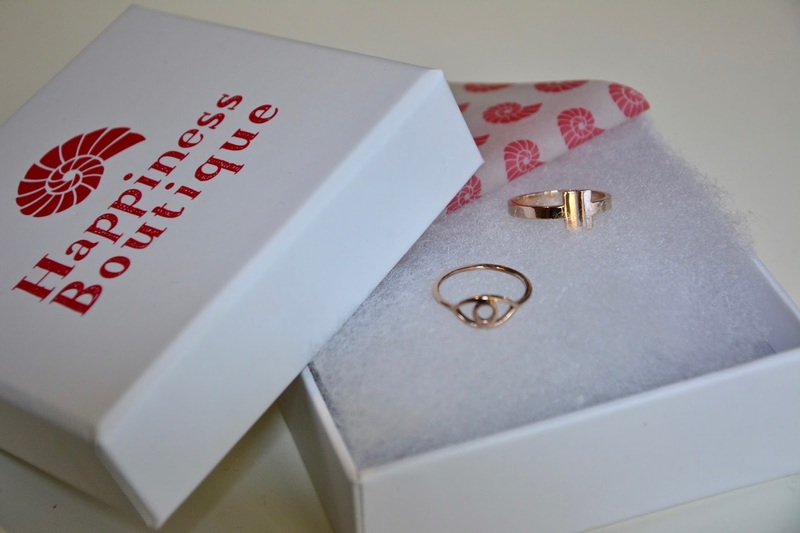 I like Happiness Boutique very much, they have amazing pieces there, like these two rings - so lovely! Good that it was sunny for a while! Hope it goes on like that a bit more! Wishing you a great weekend! I love your outfit! This skirt is amazing! And with these tights, it perfectly matches! Hey, this was really good.. You are very talented and your style of writing is really enticing. Don’t give up!! Maybe you could head over to my blog and see what you think? Love this pleated skirt and dying over those loafers! I love Happiness Boutique and those rings you have from them are so pretty. Thanks for sharing! Such a lovely post! Have an amazing new week. This outfit is one from the most beautiful on your blog. I love it so much. You are amazing. Great post. This cap looks just too cute on you!! This is really beautiful. The skirt looks lovely on you. Best wishes. Is this Bucarest? It really reminds me of my beloved Warsaw! I suppose all East Europe cities are similar!